There has been significant attention concerning US tariffs and forecasting the likely outcomes, however neither the Australian market nor the S&P 500 has seen any significant movement. Last week saw markets remain steady with daily volatility less than 0.5% for the XAO and less the 1% for the S&P writes Dale Gillham. In Australia, the Materials sector (XMJ) continued to lift the Australian market higher with the sector up 3.3% over the past five days. Interestingly, the top eight shares in percentage change have all been resource companies. This strong rally comes on the back of renewed confidence in the sector. Currently, I like the sector and think there is genuine upside potential in a number of stocks. Energy (XEJ) is another sector doing well and was up almost 4% for the week, with strong rises from Origin Energy Ltd (ASX:ORG), Santos Ltd (ASX:STO) and AGL Energy Ltd (ASX:AGL). Conversely, the Financials sector (XFJ) was a different story altogether with all of the big 4 banks down, and the sector as a whole, down around 1.5%. The Consumer Discretionary sector (XDJ) has also been looking worse for wear over the past month, falling 5.2%. Webjet Ltd (ASX:WEB) fell 6.48% over the past five days, while rival Flight Centre Travel Group Ltd (ASX:FLT) fell 2.38% and JB Hi-Fi Limited (ASX:JBH) returned to a familiar space as the most shorted stock on the ASX. While the sector is not currently looking too good, things could turn around quickly. It would appear much of the tariff hype has dissipated, and the Australian reporting season has now drawn to a close with no real surprises. 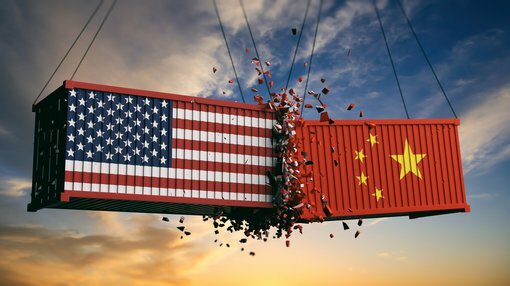 Economic commentators are now indicating that the tariffs imposed by the US will only have a minimum effect on the countries’ economies that are being targeted. September has largely been lacklustre where the market fell by 4% before it inched its way back up less than half of what it fell over the following three weeks. This is a sign the market is still a little cautious, although I expect this upside move to continue over the coming weeks, with the XAO possibly reaching 6,500 points before Christmas. The question I am being asked right now is when will the Australian share market surpass its all-time high? I believe we will see this occur in the first quarter of 2019 – although for that to occur the finance and material stocks need to rise together.